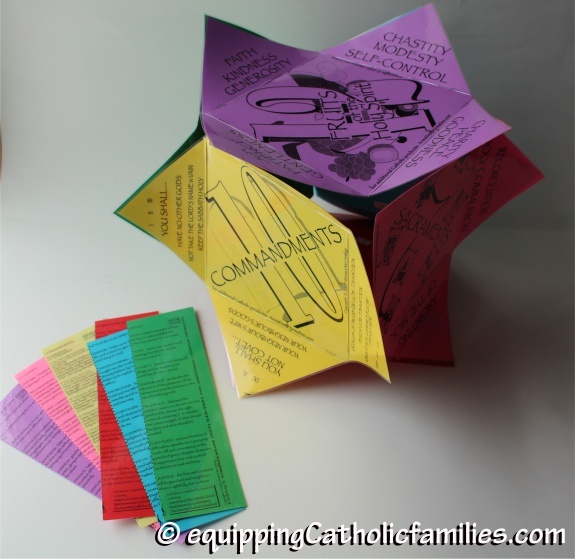 Instructions and templates are included to create two 3D cubes, packed with Catechism terms and graphics for a quizzing tool or classroom decoration. 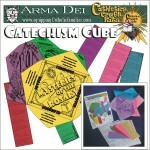 Study bookmarks offering definitions for all the terms, are included within the templates. 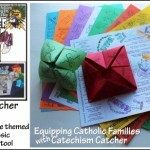 Tailor this quizzing tool and Catechism decoration to your specific areas of study! 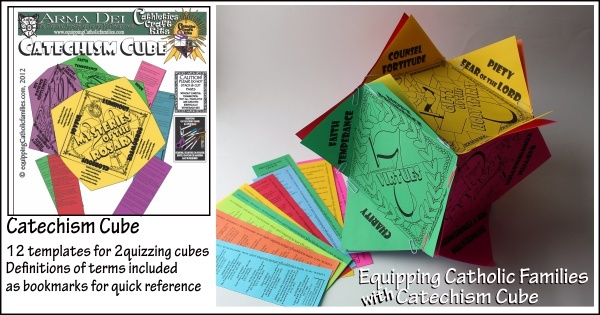 The Catechism Cube can be assembled quickly with paper clips, glue, tape or a stapler, but this is another Cathletics Craft Kit that can be laminated, assembled and disassembled and stored flat! 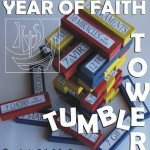 We use Velcro (adhesive on one side) to make our durable display set.